Pictured : Jim Moore wedding officiant. Jim has been performing ceremonies since 2007. He is very professional and easy going. He also is a great public speaker and cares very much about his ceremonies. Jim has traveled from Princeton to Cape May and Gloucester to perform numerous ceremonies since he received his license. He has received many compliments from couples and guests. 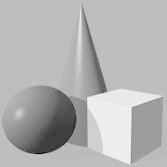 Please see our tesimonial page. 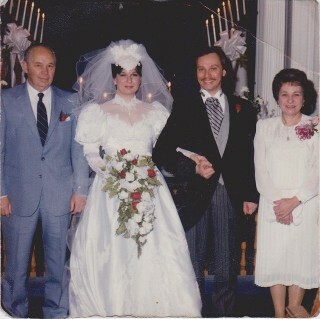 Jim and Linda Moore . 1989 . Our wedding day with Jim's parents. 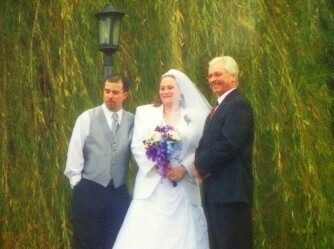 As a leading provider of wedding ceremonies, I take pride in offering the best . I am dedicated to serving the needs of my customers each and every day. I was a Presidents Club member of a popular chain bridal store from 2000 until 2008. You will often find me in the bridal room before the wedding, helping the girls lace up those dresses or Fixing a hook and eye for a bride. I am always on time and professional. I speak well as I am used to working with the public and have been for over 30 years. All though my suggested rate is quite reasonable, I would like to provide an explanation of fee's. 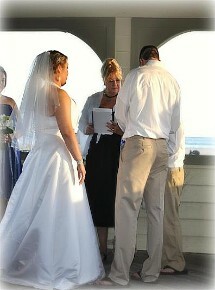 1, First it is much much more than a few minutes of work if you hire a professional wedding officiant. 2. I personally have never officiated two weddings the same. Every ceremony is designed for the couple. 3. You can incorporate so many things into a ceremony. From a hand blessing, hand fasting, roses for mothers, sand ceremony, unity candle ceremony, wine ceremony and tons more including couples with children and special mentions for couples with deceased parents. 4. Your family, friends, co-workers are all watching this entire ceremony. Would you prefer a 5 min. ceremony they offer at the courthouse or a beautiful ceremony with memories? 5. Your officiant spends hours behind the scenes writing ceremonies, spends travel time, gas, wear and tear on the vehicle, and don't forget they have license fee's, taxes, and all related business fee's. Just like any other business. 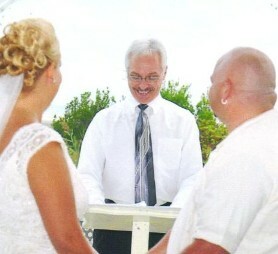 Your Officiant must have a good public speaking voice and keep your guests interested and involved. The ceremony is the beginning of your wedding celebration. It honestly sets the tone for the entire day. If it doesn't go well your guests will carry it right into the reception and it will be the topic of conversation for quite some time. I look forward to working with you on your ceremony. 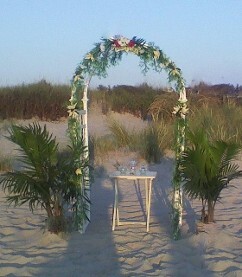 Rental arch decorated [as shown with 2 palms] for beach Delivered decorated with touches of your color added and set up. $125.00.